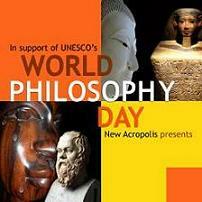 Inspirational philosophy from Greece/Rome, Egypt, India, China/Japan and Africa. Inspirational philosophy from Greece/Rome, Egypt, India, China/Japan and Africa. 5 different speakers will give glimpses of the insights and practical advice of different civilizations, supported by visual material. There will be a break for refreshments and discussion.